They also say the way to a person’s heart is through food. Therefore, by default, where you eat in your humble abode must be a truly special place. Furnishing your dining area can be challenging; thankfully Style searched high and low to find the best dining tables – guaranteed to make your kitchen, dining room and outdoor patio a space you’ll truly love. Carmichael Dining Table, $329.95 at Pier 1 Imports, 2775 East Bidwell Street, Suite 100, Folsom. 916-984-0766, pier1.com. Built of fine-grained hardwoods with a seven-step, mahogany-stained plank top and distressed ivory legs, this table proves that rustic furniture can be durable and chic. GS Riverside Rectangular Leg Dining Table, $799 at Affordable Furniture and Blinds, 55 Fair Lane, Placerville. 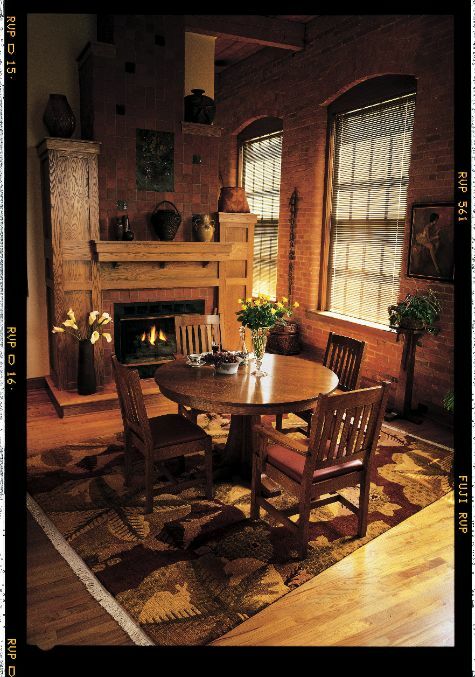 530-621-9566, affordablefurnitureandblinds.com. This bestseller, made of solid woods and walnut, is sure to please those with a taste for traditional. To add a little edge to the table, complement it with dual tone chairs, like these black and whisky ones. 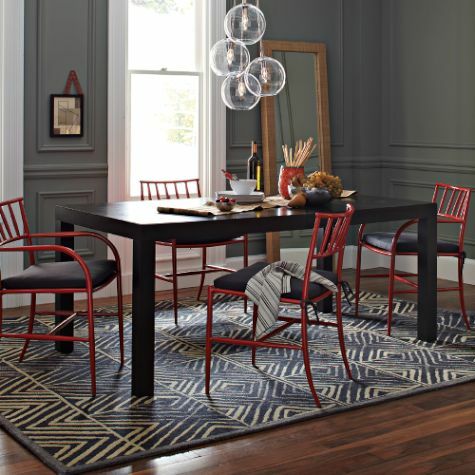 Parsons Dining Table (Rectangle), $399 at West Elm, 1198 East Roseville Parkway, Suite 190, Roseville. 916-784-2109, westelm.com. Available in both black and white, this dining table is the epitome of modern design, with its clean lines and equally thick square legs and tabletop. Take advantage of West Elm’s free in-home design service to make the table fit your home’s décor. Gloster Roma Collection (54” Round Table with Synthetic Wood Top), price varies ($1,600 as seen above) at Green Acres Nursery and Supply, 205 Serpa Way, Folsom. 916-358-9099, idiggreenacres.com. 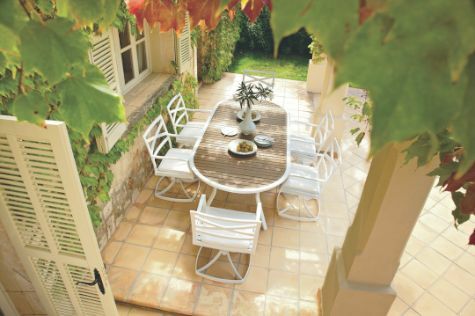 Over the years, patio furniture has become increasingly sophisticated – case in point, Gloster’s highly customizable lightweight aluminum option. Available in crystal white and gunmetal, with either an oval and rectangular aluminum or synthetic wood tabletop, it seats six comfortably. Best part – you can easily clean the table with a damp cloth or hose. Mission Collection Dining Table by Stickley, $3,999 at NaturWood Home Furnishings, 12125 Folsom Boulevard, Rancho Cordova. 916-351-0227, naturwood.com. This Mission-style expandable is perfect for those with both large and small seating needs. Made in the USA, this solid oak round table is simply stylish and meshes well with many interiors.